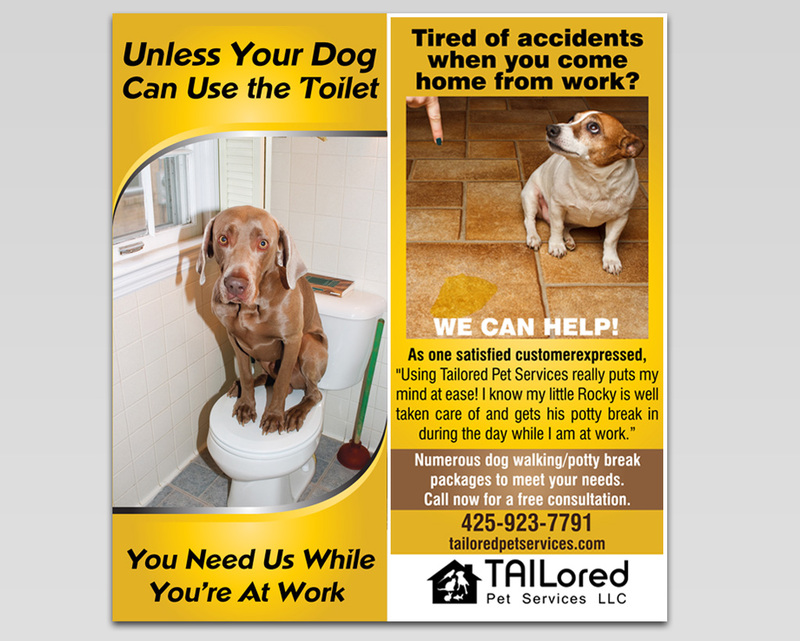 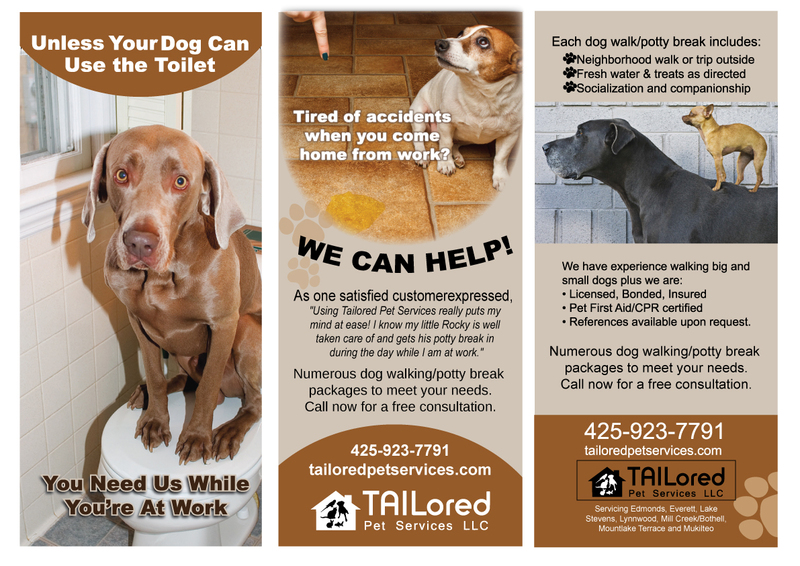 TAILored Pet Services offers "premium" dog walking service. 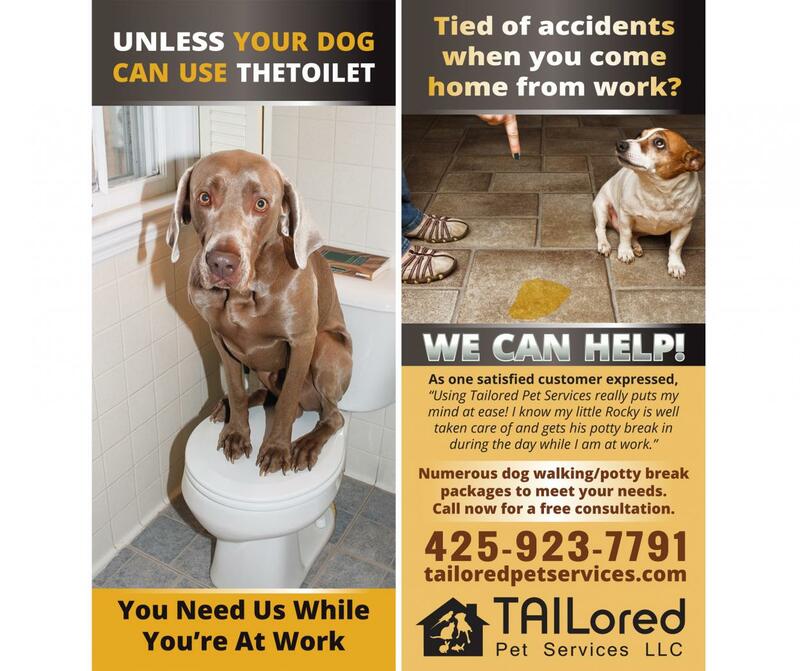 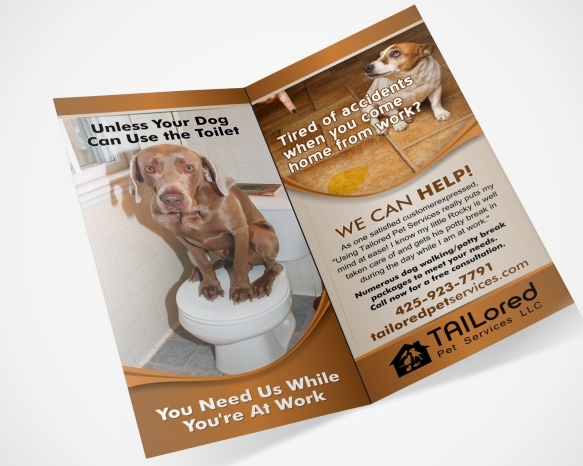 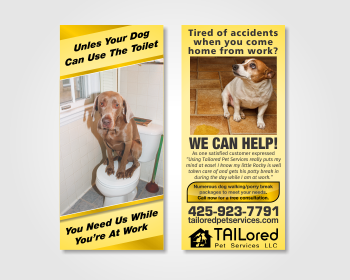 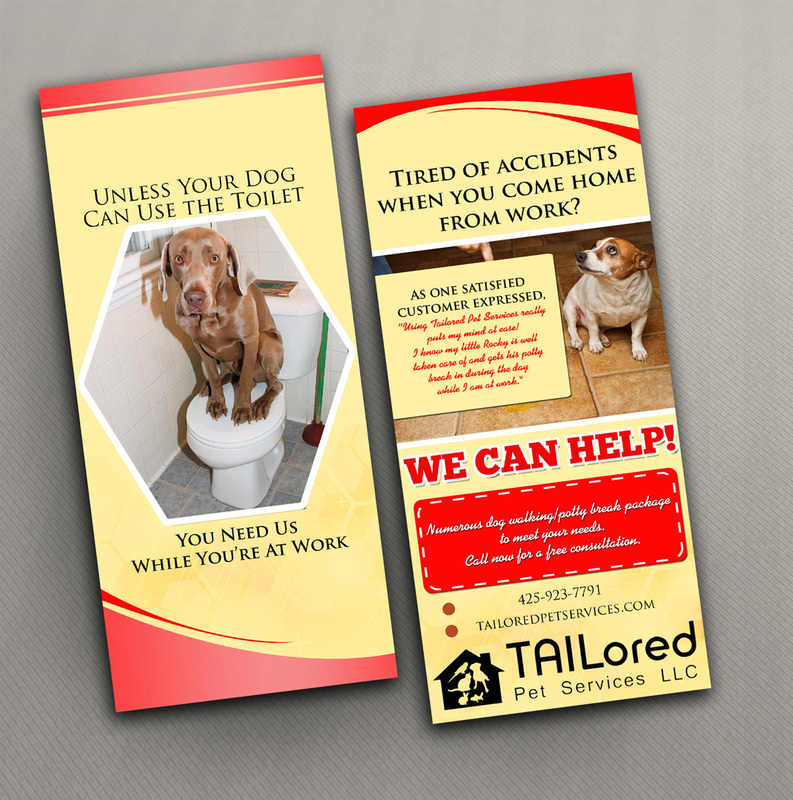 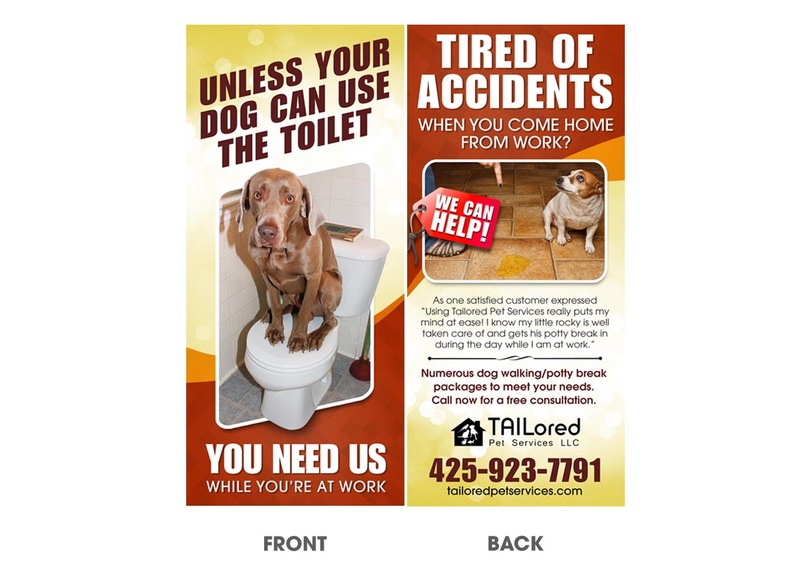 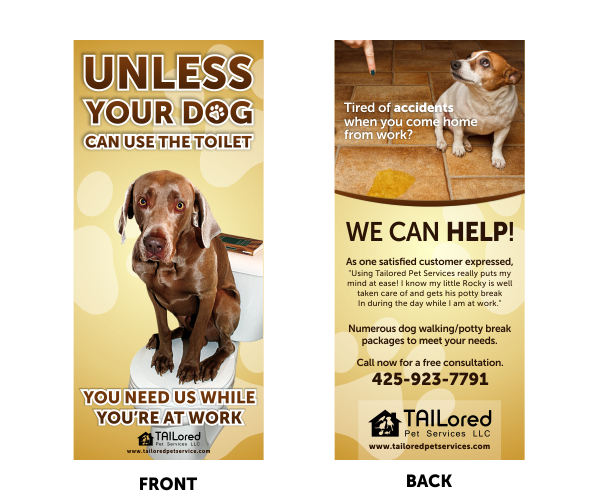 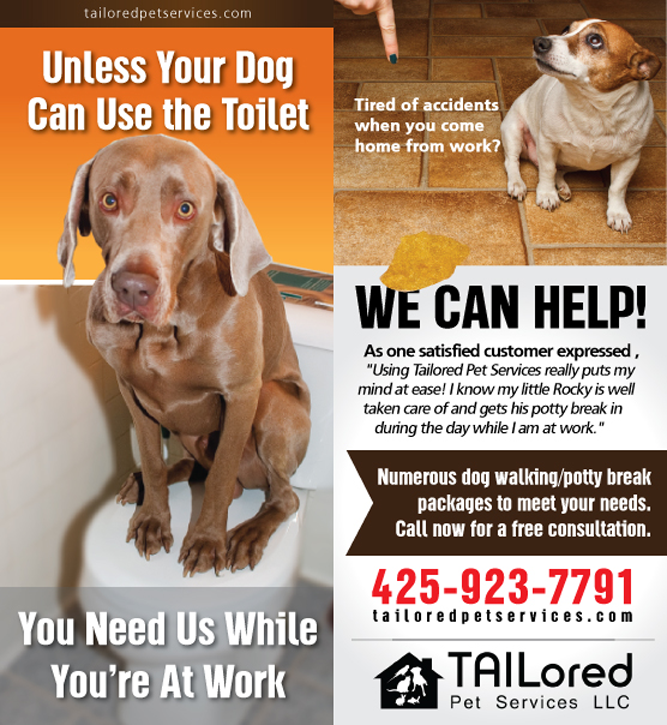 Our clients are dual income $75,000+ business professionals, no children in the home who consider their dogs their "furry children"
The design needs to look professional and classy. 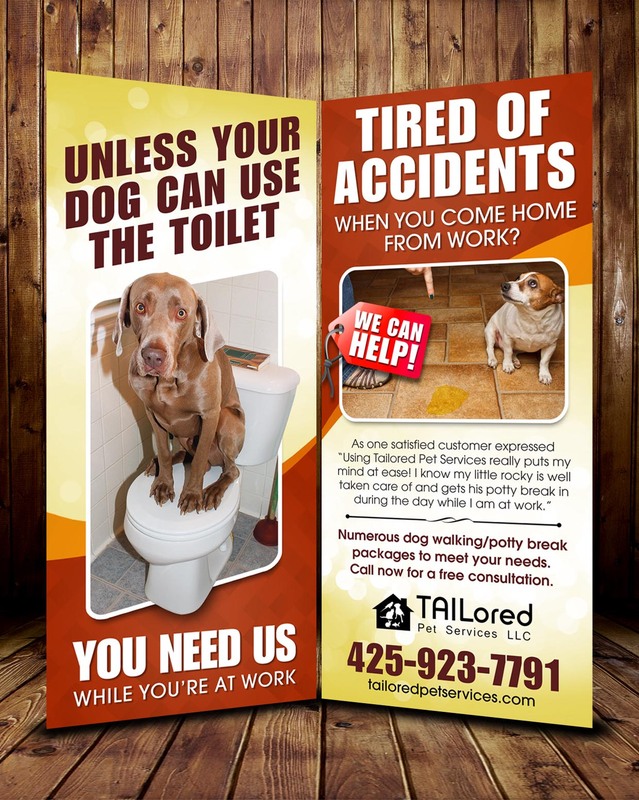 The goal is to create the following emotional response: �my furry baby will be in distress unless I hire TAILored Pet Services� Instead of a brochure, I need a rack card with the following dimensions: Document Trim Size 3.74" x 8.27" 95 x 210 mm 1122 x 2481 pixels Full Bleed Size 3.86" x 8.39" 98 x 213 mm 1158 x 2516 pixels Finished artwork should use the full bleed dimensions for best results.